Join us here at your go to Bass Pro in Round Rock, TX for our annual Easter Event!! One FREE 4X6 photo PER FAMILY. FREE sharable email video card. -For your child's safety we ask that all infants be held by their parents. All crafts and giveaways are while supplies last. Bring your furry friend in to Bass Pro Shops Round Rock to help us celebrate our furry family members. Come to your favorite Bass pro in Round Rock for our FREE Mother's Day Photo Event. PLUS! Sunday ONLY, the first 75 Mom's to have their photo taken will receive a FREE plaid tote. Come on in and learn some tips and tricks on how our pros catch the biggest Catfish. The 120,000-square foot Round Rock Bass Pro Shops Outdoor World is located just north of the Round Rock Outlet Mall. 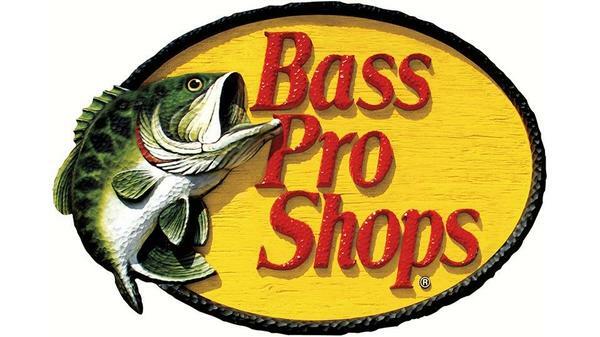 While you'll find a huge selection of outdoor gear, and apparel, Bass Pro Shops offers so much more-- part museum, art gallery, antique store, aquarium, education, conservation and entertainment center. We are more than an outdoor store, we’re a destination! The entire store is a tribute to the Central Texas landscape, its history, and the culture of its people. Using more than area artifacts, state and record wildlife mounts are displayed alongside local period prints depicting early Texans enjoying sporting adventures. The 16,000 gallon aquarium is stocked with fish native to the area including largemouth bass, white bass, brook trout, catfish, gar, crappie and smallmouth. We have weekly fish feedings on Saturday and Sunday at 1PM. Come to our store and see our other extensive departments like Camping (that includes hiking, grilling and everything in between) our Gifts and Nature Shop (toys, hot sauces, wind chimes, music, home furnishings, etc. ), Apparel and Footwear (with brand names like RedHead, Under Armour, Bob Timberlake and more), Marine (find electronics, boat accessories, GPS units, etc. ), Tracker Boats (fresh and salt water boats, big and small and even ATVs), Water sports (kayaks, rafts, snorkeling equipment, wake surfing boards, and all other fun water toys). The best part is that each department will come with a skilled and knowledgeable associate that will guide you through your every need. Come get your bow sighted and ready for the hunt in our archery department. You can practice your shot in our 20 yard long archery range. No crossbows please and only field tip arrows in the range. If you are interested in trying out one of our bows before purchase, you may do so! The range is open from 10AM-8PM Monday – Saturday, and 10AM-6PM on Sunday. $8 for half an hour and $14 for a full hour. Need your bow worked on? Call us and ask our bow techs for hours. We are a pet friendly store so please bring your 4-legged best friend in with you! Uncle Buck's Fishbowl and Grill features a truly unique atmosphere and design geared for family fun and dining. Casual family dining is available in the Grill where you can select from a menu featuring a variety of appetizers, sandwiches, salads and burgers. There are two private dining rooms with A/V for meetings and special events. Party packages are available including bowling, shoe rental, pizzas, soda, and themed service ware. Uncle Buck’s Fishbowl and Grill also has a nautical themed full bar and a Black Widow Billiards Room. An island-theme bar area offers visitors the experience of feeling like they are underwater exploring the skeletal remains of a sunken ship featuring a huge saltwater aquarium with scores of beautiful, tropical fish. The Tracker Marine Boat Center displays a full range of boats from Tracker Marine--the world's largest manufacturer of fishing boats --- and ATVs and UTVs. The Power Pros boat service center features four service bays, offers servicing for all makes and models of boats and motors. Santa's Wonderland is truly a site to behold. During the holiday season, beginning in mid-November, the whole Tracker Boats area of the store is transformed into a breathtaking magical Christmas area. With its display of lights, Christmas tree, and the real Santa and his Elves the event is a must. The event also includes a FREE photograph session with Santa Claus and your child or children. Numerous other events throughout the year, such as the Spring Fishing Classic, Fall Hunting Classic, Go Outdoors, Photos with the Easter Bunny, and Family Summer Camp are some of the other events you and family can enjoy.